Then we've got good news: the CQC-9K. It's one of the biggest of the bunch and offers both maximum Emerson look-and-feel as well as maximum Kershaw build quality. The big drop-point blade is 3.6 inches of black-oxide-coated 8Cr13MoV stainless steel for good edge retention, hardness, and wear resistance. There's a slight recurve in the blade for enhanced cutting of rounded materials, such as rope, hose, or zip ties. The handle is contoured to fit the hand (yes, even your big hand) like a glove. The front scale is textured G-10 for a secure grip. 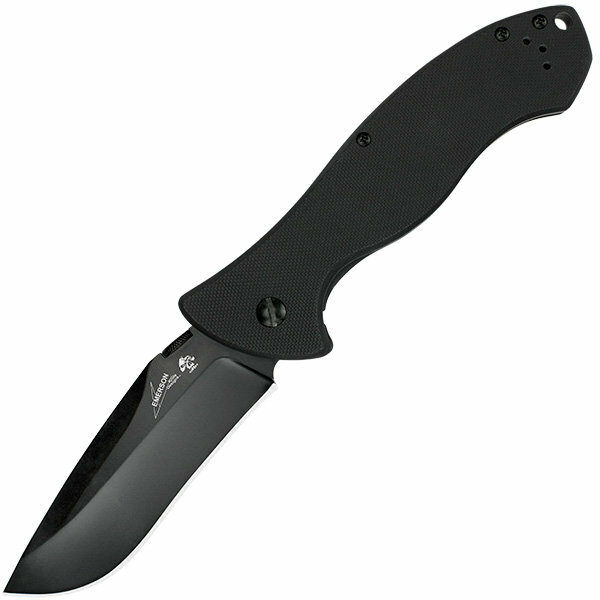 The handle back is steel, black-oxide coated, and features a secure frame lock. 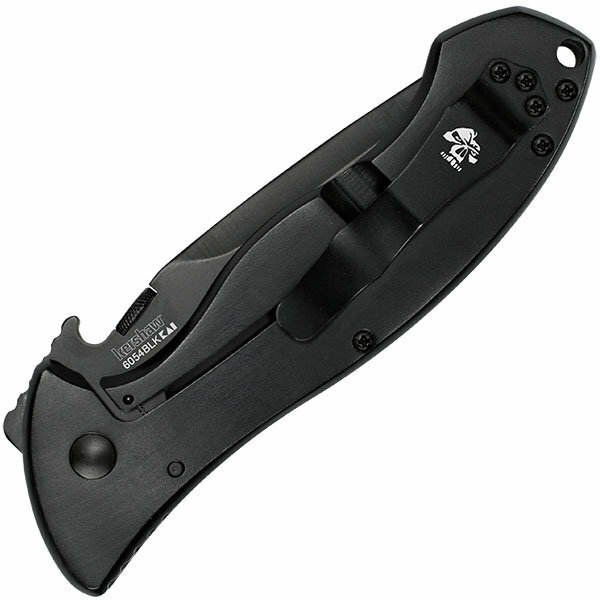 This manual knife opens with a thumb disk or the famous Emerson wave shaped opening feature that lets you open the knife as you withdraw it from your pocket. There's also a convenient hole for a lanyard and the pocketclip is left/right reversible.